A swimming pool not only increases your property value, but it also provides homeowners a place to relax, exercise, and cool off, especially during the summer months. However, owners of small backyards often discard the idea of a pool because they believe it requires too much space. Fortunately, a small yard is really not a problem for expert pool builders. By following the following tips, you can possess your dream pool, regardless of your yard space. Building a beautifully designed pool depends not only on how much space is available for the pool builders, but how well they can utilize the pool’s shape to maximize the space given. Square pools are great for backyards with limited space, while rectangular pools look tantalizing when located between the house and its landscape. Kidney-shaped and circular pools look great with patterned tiles on concrete yards. If you think the conventional pool shapes might appear constricted in your small yard, start considering a free-form design. It makes no aesthetic sense to build a modern pool behind a rustic-looking house, or vice-versa. By taking note of the surrounding area, it is entirely possible to create a customized pool that looks fantastic and fitting in your small yard. For example, houses with yards barricaded by a neighboring forest can make use of either a geometric tank design to provide a stark contrast or a free-form design that conforms to the natural surroundings. You can also consider a circular raised bath on a wooden platform to evoke a more rustic look. 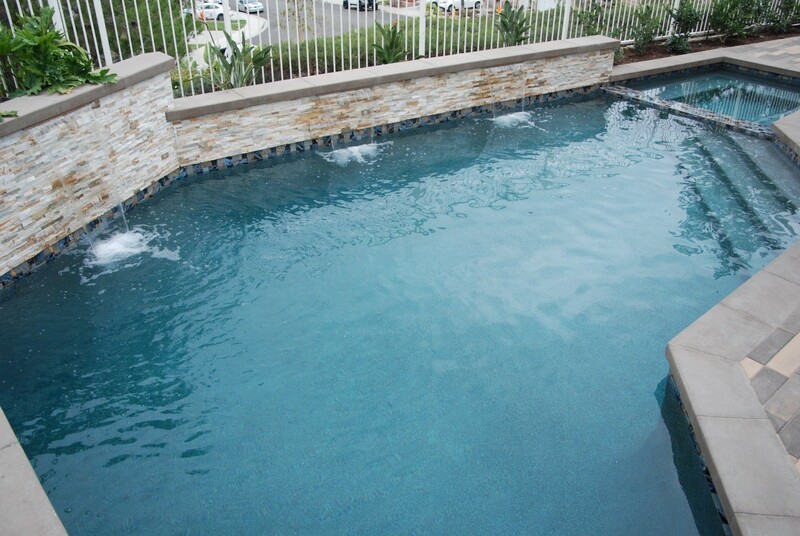 Try to envision your backyard with an installed pool and relay this vision to your hired pool builder to help him create a pool that is guaranteed to suit your taste and your yard’s dimensions. If a swimming pool is not entirely possible, then why not try a plunge pool? Not only are plunge pools as refreshing and entertaining as swimming pools, they are also perfect for wintertime because they are easily heated (just like a standard pool) and can double as a relaxing spa. Plunge pools are ideal for houses with small yards; it creates an illusion of an extended living space that complements the house’s design and its nearby surroundings. Most plunge pools also offer a distinctive water feature, such as a water wall, to create an appealing focal point in your garden. You don’t need a large backyard space to install a fantastic-looking pool. With just a little bit of planning and creativity, pool builders can help build a beautifully designed pool without needing to expand your backyard.